Occasionally, our customers will ask about substituting one nut for another. Most often, the question is in regards to A194 nuts for A563 nuts. Because these nuts are used for highly specialized applications, we will typically refer you to your project’s engineer in regards to substitution. Instead, our sales team is happy to educate you on the similarities and differences in these specifications. Let’s go over some of them here. The ASTM A194 specification covers a variety of carbon, alloy, and stainless steel nuts. Ranging in sizes ¼ through 4 inches, 2H nuts are intended for high-pressure or high-temperature applications in a plain (uncoated) finish. To identify A194 nuts, note the 2H on the nut’s face. A194 2H nuts can be coated. Zinc coated nuts will have a ZN marked after the grade (example: 2HZN). A194 2H nuts are often paired with A193 B7 steel or F1554-105 steel, typically as all thread studs, hex bolts, or double end rods. Often, you will find these nuts in high strength applications in fields including oil and gas. The ASTM A563 specification covers carbon and alloy steel nuts for general structural and mechanical uses on bolts, studs, and other externally threaded parts. A563 nuts have a wider variety of uses compared to the A194 nuts. Because of this, it’s important for the customer to specify which variation of A563 nuts they need, including grade, style, nominal size, thread series, coating, and other special requirements. 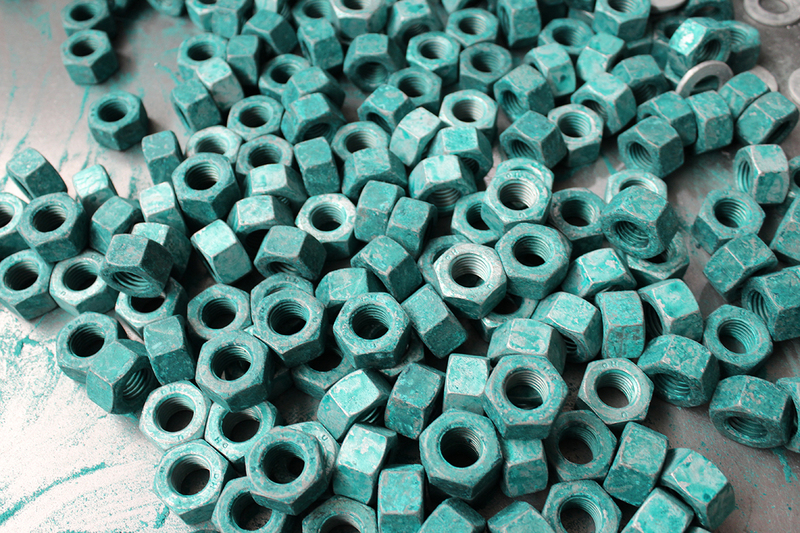 Birmingham Fastener distributes A563 nuts in Grades A, C, DH, and DH3. DH nuts are made of medium carbon steel and heat treated. They are recommended for F3125 A490 structural bolts and in many other applications. DH3 nuts are corrosion resistant and have certain weathering characteristics.